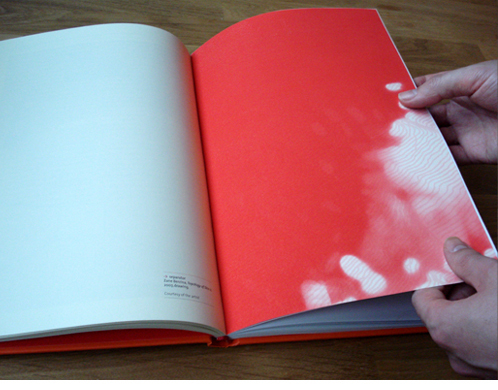 "The German sociologist Georg Simmel once called touch 'the confirmatory sense' that collects information and confirms data received by the other senses and therefore would be our actual sense of reality. Only something we can physically grasp embodies true reality for us. [...] The access to the written content in the book is conditioned by the combination of intellectual and sensory activities, and meaning unfolds through physical and mental interaction between the reader and the book." 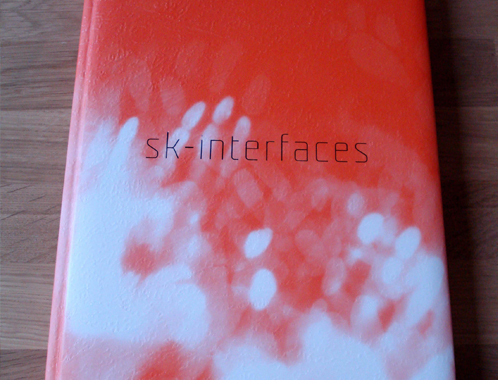 This touch-sensitive book cover and chapter divider design was conceptualised and produced specially for 'Sk-interfaces' - an exhibition catalogue for the exhibition 'Sk-interfaces' at FACT (Foundation for Art and Creative Technology), Liverpool in 2008. 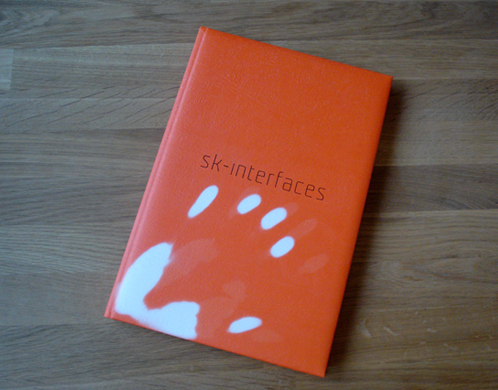 'Sk-interfaces' is edited by Jens Hauser, graphic designer: Alan Ward. 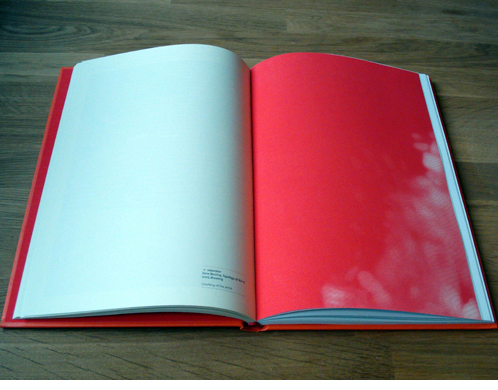 Publisher: Liverpool University Press and FACT (Foundation for Art and Creative Technology), Liverpool, 2008.